Want a great way to wash up after your Oktoberfest beer, pretzels, and bratwurst binge? 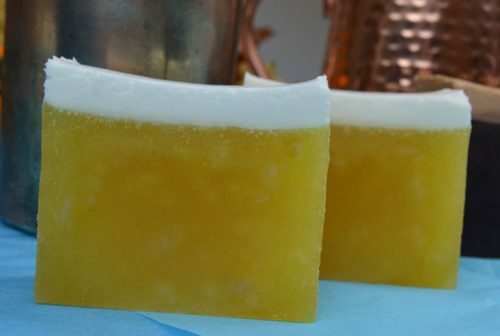 Try our Beer Soap recipe! We have two great, new fragrances, perfect for the beer lover in your family. Our Chocolate Stout and Citrus IPA Fragrance Oils capture the aromatic essence of the finest craft beers. Each fragrance smells like the real thing and will please even the pickiest of beer consumers. Make one or both variations of fragrances for soap each is simple to make and require minimal equipment and ingredients. Although they differ greatly in color and scent, both soaps have the same basic process to make them. 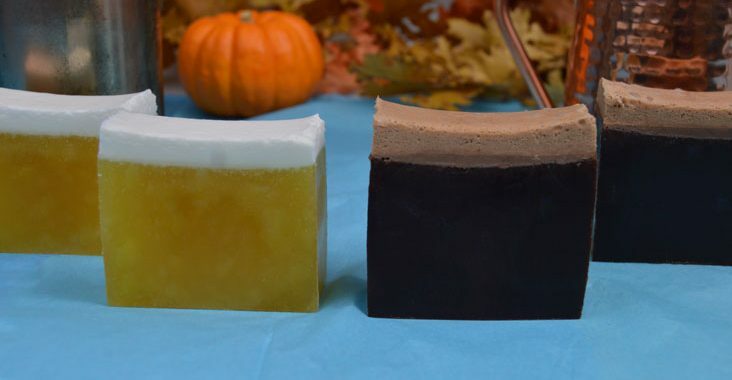 A great thing about these soaps is that they let you practice using two types of Soap Colorants, Iron Oxides for the Chocolate Stout Beer Soap and Liquid Soap Colorants for the Citrus IPA Beer Soap. The fragrance of this soap is deep with notes of coffee and rich chocolate that has a creamy Finnish. This chocolate stout beer is perfect for those who love dark beers. Our Citrus IPA Fragrance is light, yet it packs a grapefruit punch. The Amarillo hop smell is there, however not overbearing. This fragrance would be perfect for those who like IPAs that are light and bright with a touch of tartness. Heat and melt the Artisanal Soap. Add the Fragrance Oil and Colorant as required for each soap. 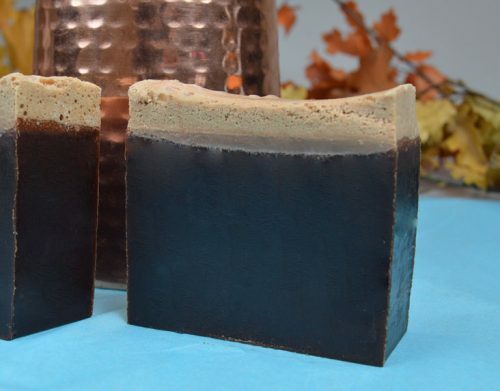 For the Chocolate Stout Beer Soap, first dissolve the Brown and Black Iron Oxides into the Fragrance Oil. Pour into your mold until a quarter inch from the top, then spray top with alcohol. Let the soap harden completely before moving onto the next step. Melt the white soap, and then whip it with a hand mixer until it gets foamy. This will resemble the beer foam. Spray the top of the hardened base loaf with alcohol, then quickly pour the whipped soap over the top of the base soap. DO NOT SPRAY THE WHIPPED SOAP WITH ALCOHOL. IT WILL DESTROY THE FOAM! Here is a link for the hand blender we used to whip the soap. It comes with several attachments, however, for this tutorial you will need to use the whisk attachment.